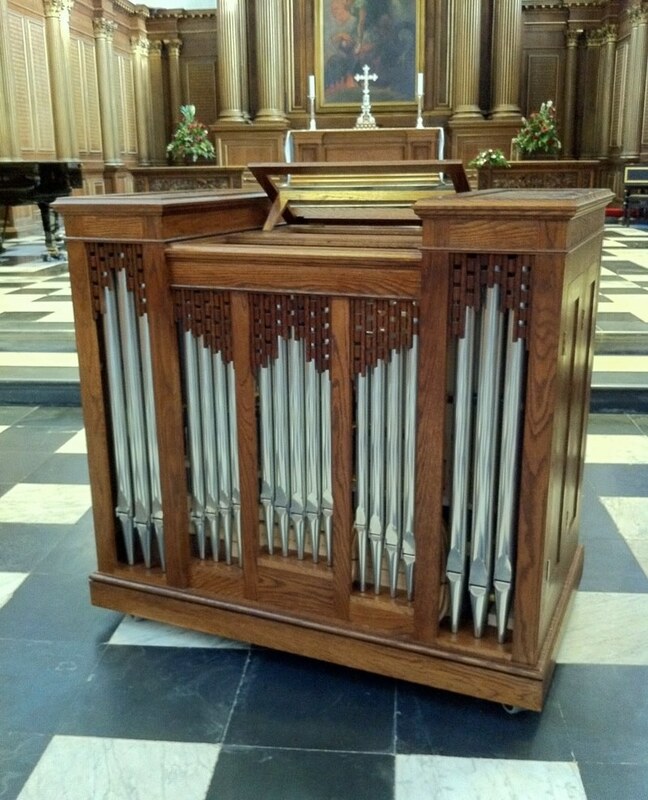 This is a continuo organ built for the chapel of Trinity College Cambridge, England. Whilst very similar to the instrument at Bury St Edmunds Cathedral, it has an additional 2ft Fifteenth. It is intended for liturgical and concert use. Its dimensions are 1200mm/3’9″ high, 1300mm/4’3″ wide, 750mm/2’5″ deep.